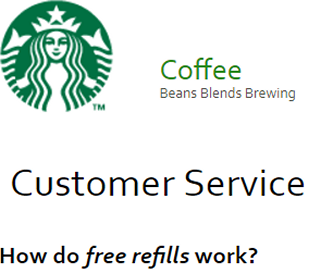 Last week, I ordered another drink at Starbucks in my existing cup, and the barista said something I never expected to hear: “That will be 53 cents.” Later, I learned that, if you buy the original drink with your Starbucks card, your refill is free. (Some say Starbucks drinks taste even better in dotphoto customized mugs. )Â Here are the official rules for free refills. 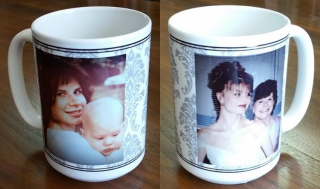 When I discovered baby and wedding photos of my wife with her mother, I thought it would be fun to put them on the same mug. My wife was delighted with this mug, and, for the record, my mother-in-law has not changed a bit.